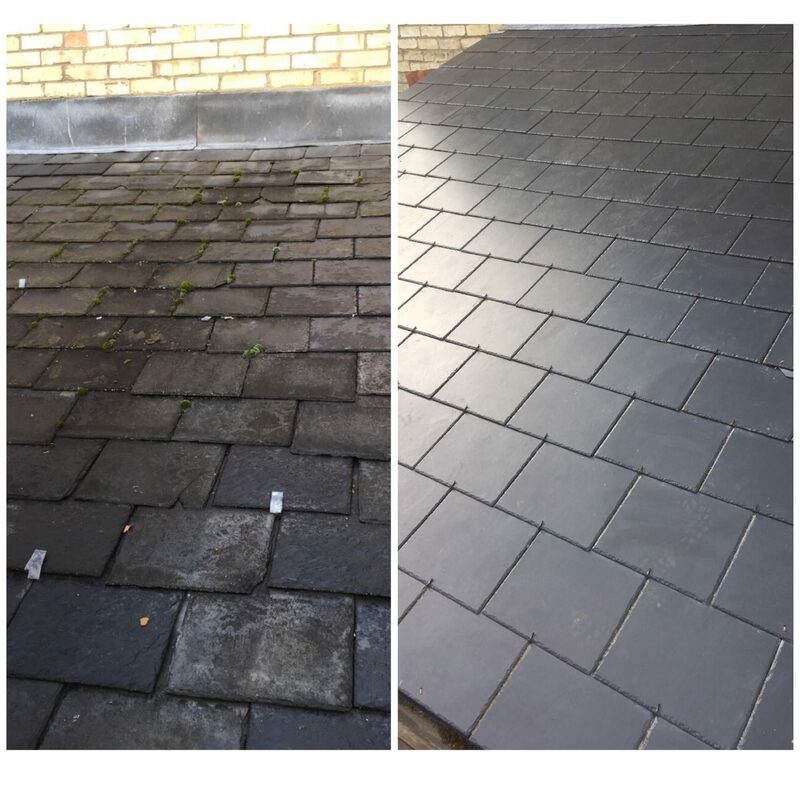 This property in Impington, Cambridge has been renewed by Alpha roofing services in a man made slate using roof hangers. This technique allows us to provide this roof with greater protection at lower roof pitches and gives it greater protection from driving rain. This type of roofing is more labour intensive but shows how we are prepared to go the extra mile to keep our customers roofs protected from the elements. Even though the slate is man made it has a bevel edge making the roofing system look more authentic and blending in with the surrounding roofs.